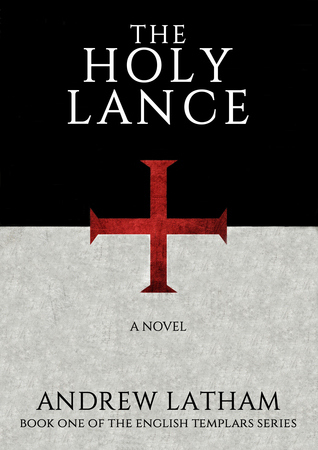 The Holy Lance is the debut novel by Andrew Latham. Set during the brutal and bloody years of the Third Crusade the story follows the trials and tribulations of Knights Templar, Michael Fitz Alan. The story starts off as a pretty standard medieval fare as the author describes Saladin’s attempts to relieve the siege of Arce by King Richard’s forces. This is brought to life by a fantastic description of a Cavalry charge by the Knights Templars which really got the blood pumping! The story then takes a turn as Fitz Alan is sent by King Richard on a mission to retrieve the mythical relic the Spear of Longinus, long believed to be the spear that pierced Christ’s side as he hung on the cross, Richard is determined to own it and the magical help he believes it will give him. Readers need not worry, this doesn’t descend into a Dan Brown type treasure hunt and the spear doesn’t shoot laser beams or give eternal life to whoever shall possess this relic. While the characters certainly believe that it is a magical relic it is just that, a relic that will give a morale boost to whoever owns it. In a race against time, Fitz Alan has to use all of his cunning and intelligence as he looks to find the relic before the forces of Saladin and even competing Christian factions find it but Fitz William is a warrior of God and he will not be denied. This is a very good debut novel from an author who obviously loves and knows the medieval period. Beautifully detailed while not flooding the plot with facts and figures this book really brings to life the blood and strife in the Middle East during the Crusades. While religion has to be a major theme of the book the author manages to incorporate it without taking sides or being blatantly biased to one side or the other. All the religions are pious, cruel, kind and insincere in equal measure and this creates a nice balance within the book. The really strength of the book is the great characterization of the main protagonists. Fitz Alan is a dark brooding character, pious and dutifully he is constantly fighting his inner demons and this gives him real depth as a character and I found that I really liked him. The author also works his magic on King Richard, making him, in my opinion much more of a realistic medieval king. While undoubtedly still heroic and mighty in battle he is also arrogant, egotistical and cruel and gives a reality check to this most over hyped of English Kings. If you like your medieval history with a touch of realism and a cracking story populated by interesting characters then you should put Holy Lance to the top of your reading list. 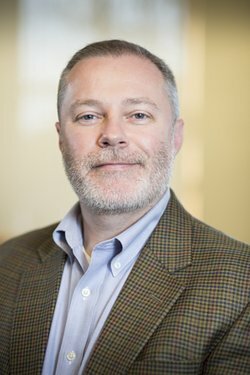 Knox Robinson author Andrew A. Latham is an award-winning professor of International Relations who regularly teaches courses in medieval political thought, international relations, and war. Trained as a Political Scientist, Latham has spent the last decade-and-a-half researching political violence in the Middle Ages. He has written scholarly articles on medieval war, the crusades, jihad, and the political thought of Saint Augustine and Saint Thomas Aquinas. His most recent book is a work of non-fiction entitled Theorizing Medieval Geopolitics: War and World Order in the Age of the Crusades. Latham was born in England, raised in Canada and currently lives in the United States. He graduated from York University in Toronto with a BA (Honours) in Political Science; later he earned an MA from Queen’s University in Kingston, Ontario; and later yet, he earned a PhD from his alma mater, York.